Capricode and iProtoXi announced a strategic partnership to join forces to bring a powerful Internet-of-Things sensor solution to the market, aimed for fast growing digitalization needs in Industrial market segments. With this partnership, Capricode and iProtoXi can provide necessary puzzle pieces required to make sense of the often challenging IoT playground, and to help customers overcome technical challenges related to sensor technologies, as well as to bring visibility, cyber security, and maintainability to large fleets of sensor networks. Pasi Heikkinen, CTO of Capricode, says that working together with iProtoXi will allow both companies to deliver a cutting edge, proven, and scalable IoT solution to the market, which helps customers to digitalize processes and create new IoT business opportunities for a variety of industries. The joint solution contains all the needed components to enable customers to make future proven and cost-effective IoT solutions, supported with rapid prototyping and application development all the way to manufacturing and mass production for a variety of industry need. 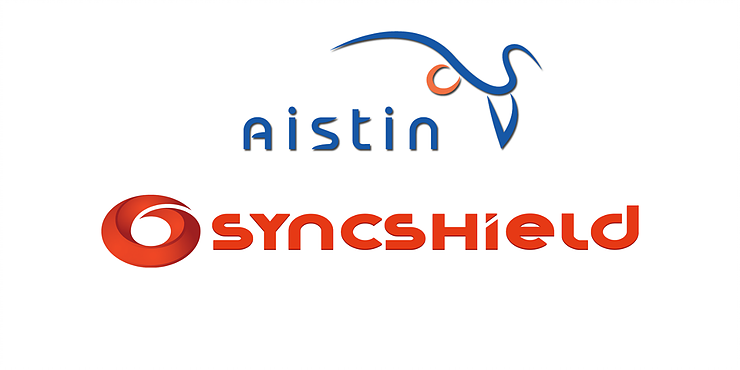 The solution is built on iProtoXi’s “Aistin” IoT & Blue sensor platform, which is now powered by Capricode’s patented SyncShield® technology, specifically designed for IoT supervision and as an effective cyber security layer for all connected devices. The result is a product that resolves challenges related directly to scaling up IoT solutions at a very large scale. Capricode’s SyncShield® makes it possible to perform remote management and maintenance to iProtoXi Aistin Blue sensors throughout their entire life-cycle. Automated management allows for dynamic updates, parameter changes, update software, and cyber security to entire sensor fleets. Advanced functionalities delivered via Over-the-Air to iProtoXi gateway devices and sensors makes it possible to enable sensor management features never before seen at this price point. Janne Kallio, CEO of iProtoXi, says that SyncShield® is proven and scalable technology, and together with the scalable iProtoXi solution offerings, it lowers barrier to large scale radio independent (e.g. BT5, Lora, 4G NB IoT and future 5G) IoT sensor rollouts. Combined offering enables new business possibilities, business process digitalization, minimizes cyber security risks and lowers total cost of ownership for IoT solutions management for our customers. iProtoXi is a company based in Finland, a leader in design of innovative, modular and energy-efficient IoT solutions. iProtoXi is a super skillful IoT industry player offering “one stop shop concept” all the way from rapid prototyping and application development to manufacturing and mass production concepts. iProtoXi offering includes also tailored mobile application and easy to be integrated and customized cloud service.